This week has flown by as we celebrated our daughter Tiferet’s wedding to Boaz last Sunday and enjoyed the time with friends and family. So it’s Sunday and time for this week’s photo. I chose a place in the Judean desert, less than a half hour from Jerusalem on the way to the Dead Sea, a great place to hike. You can click on the image for a larger view (which may take some time to load depending on your Internet connection). Included is information about the photo – where it was taken, the technical details of the photo, etc. Please share this post via email, on Facebook or Twitter by clicking on the icons at the end of this message. This photo was taken with a Nikon D90 (digital SLR) camera with a Nikon 18-70mm lens in the early afternoon of November 27th, (ISO 400, 18mm, F9 at 1/125 sec). I also was there about a week ago – it is a great hike. I was surprised to come across mud pits in August. I would have thought that all the moisture would have evaporated. Did you experience them? 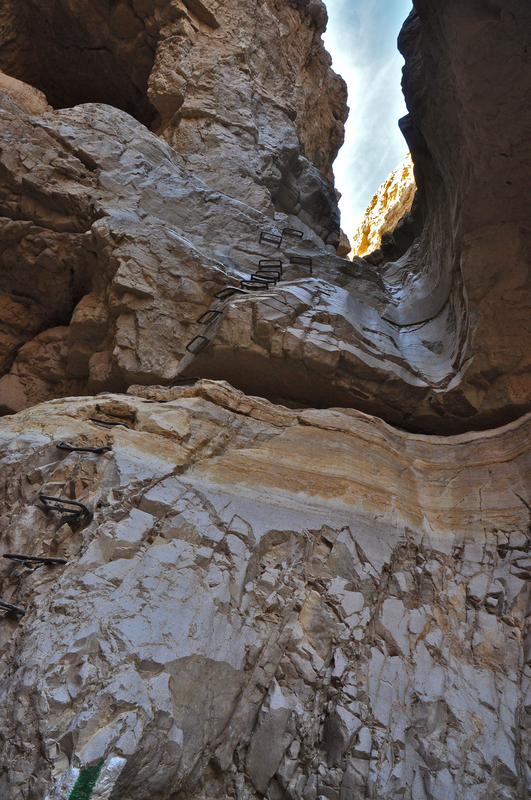 My group hiked from the bridge past Nebi Musa to Almog.